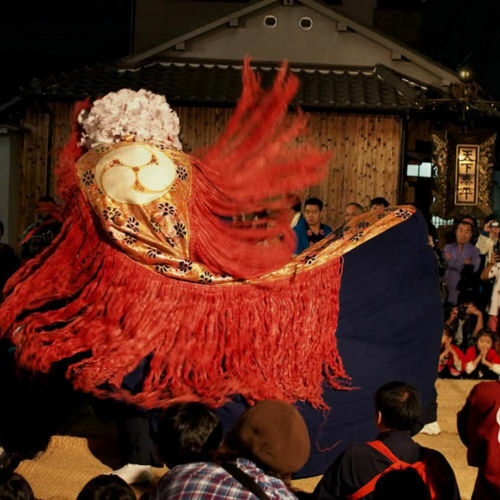 Osaka's numerous festivals provide revealing insights into historical and contemporary Japan. 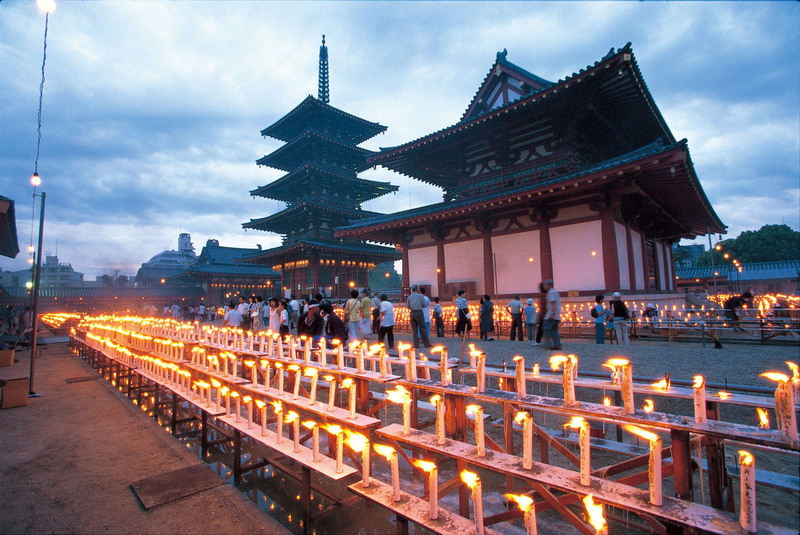 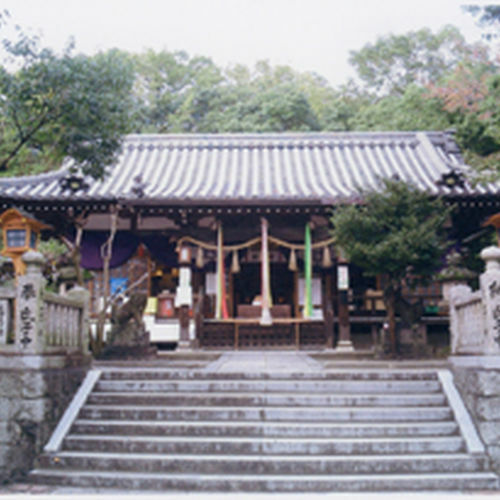 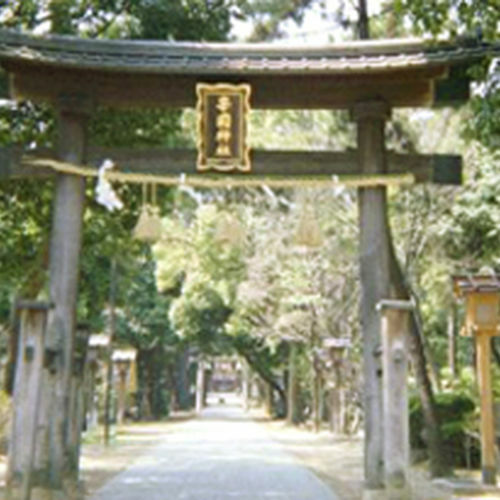 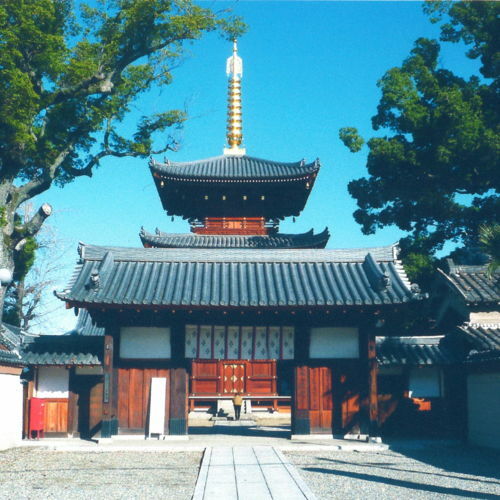 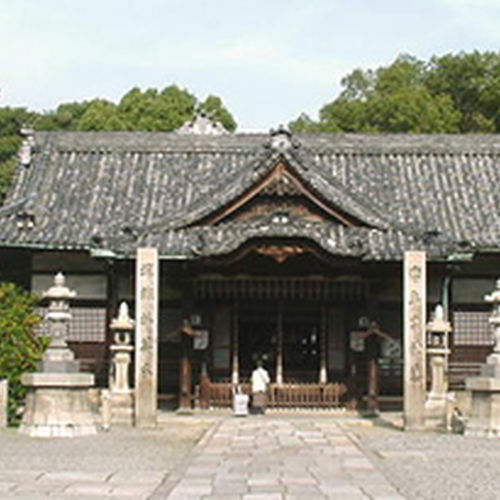 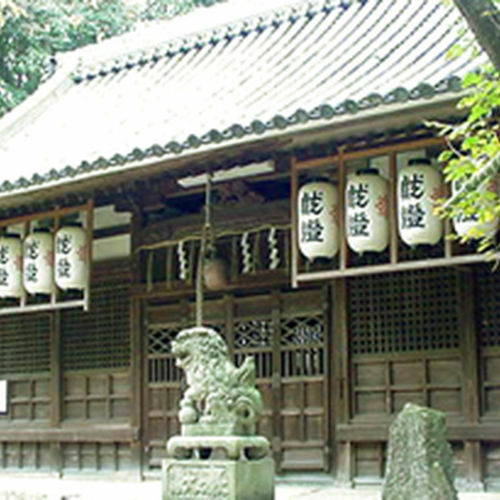 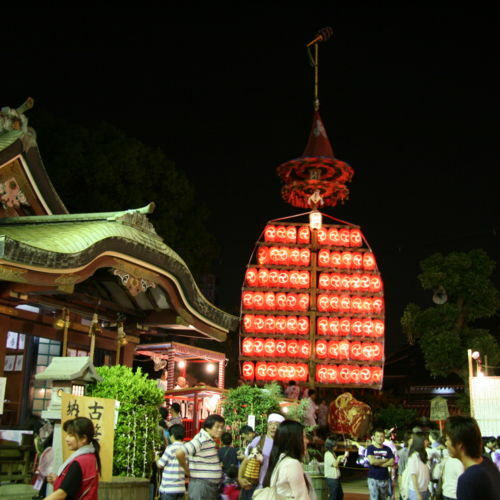 Temples and shrines play host to the majority of events: Japan’s first Buddhist temple, Shitennoji Temple, is always a hub of activity, while Sumiyoshitaisha Shrine, in the city’s south, is widely considered the most popular. 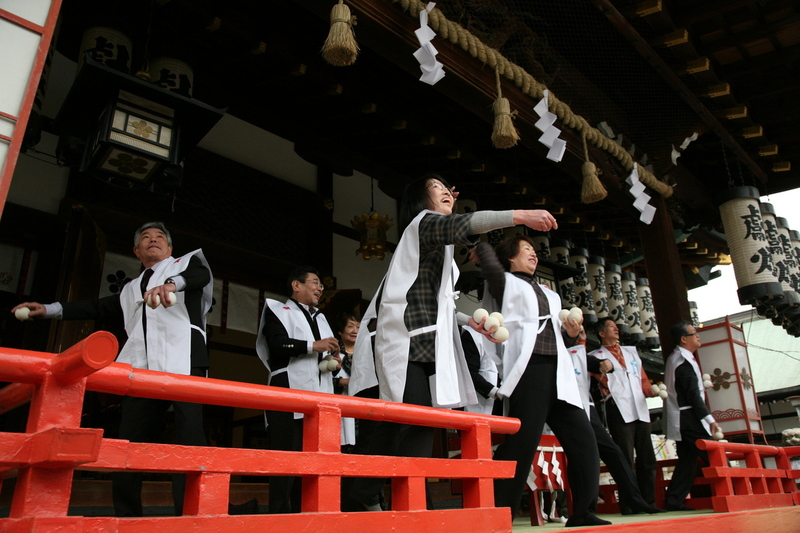 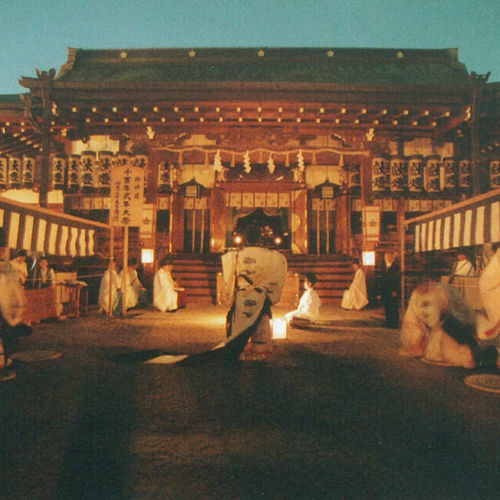 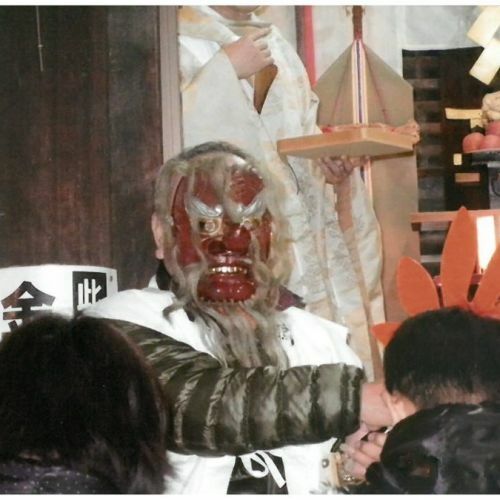 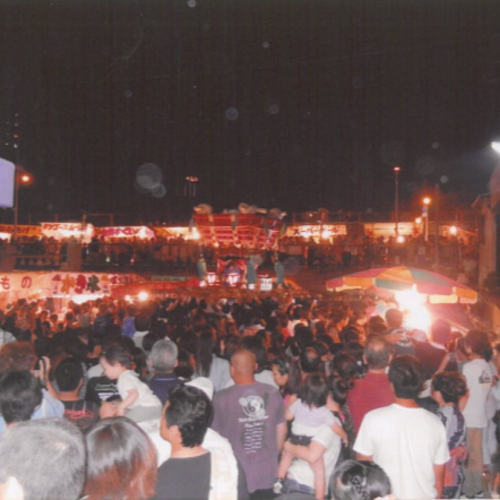 Another highlight is the Narita Fudoson Temple in Neyagawa, which hosts Kansai’s largest setsubun (bean throwing) event. 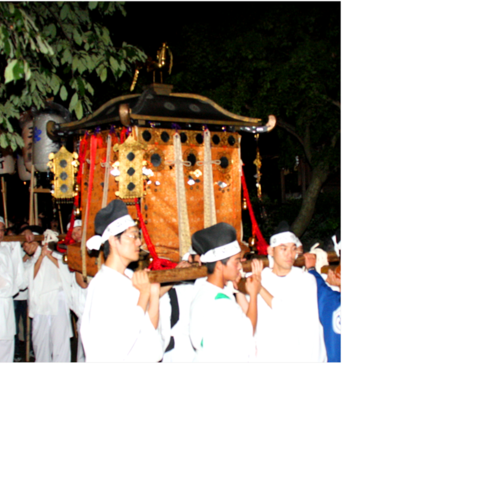 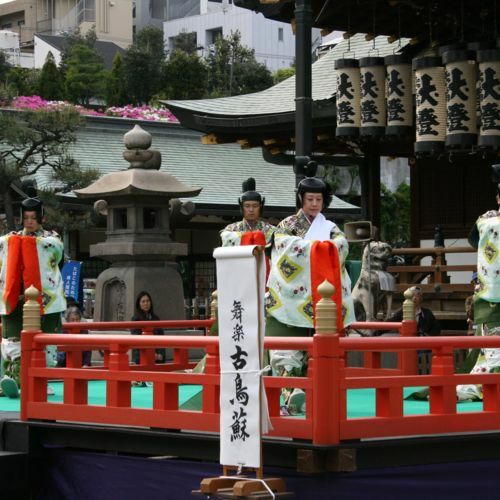 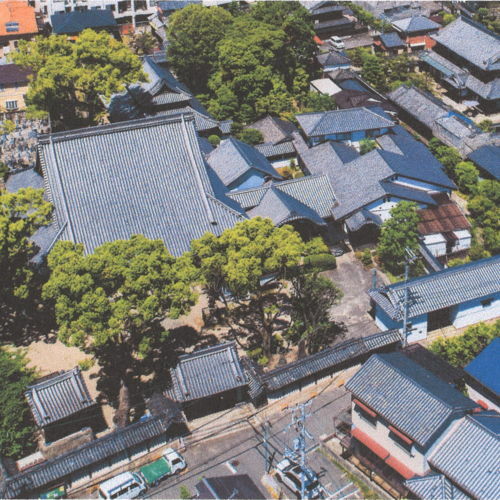 Also known as the "Hanashizume no Matsuri," it dates back to the days of the Heian period imperial court. 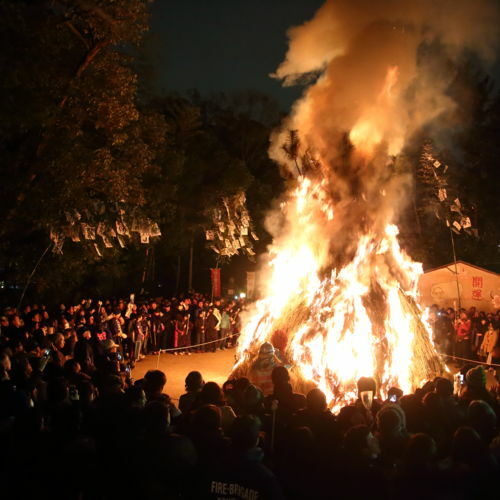 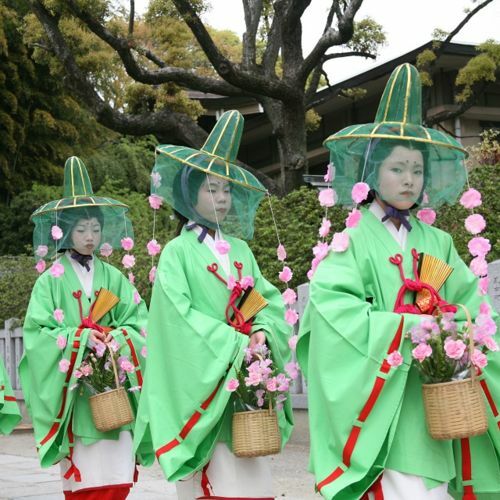 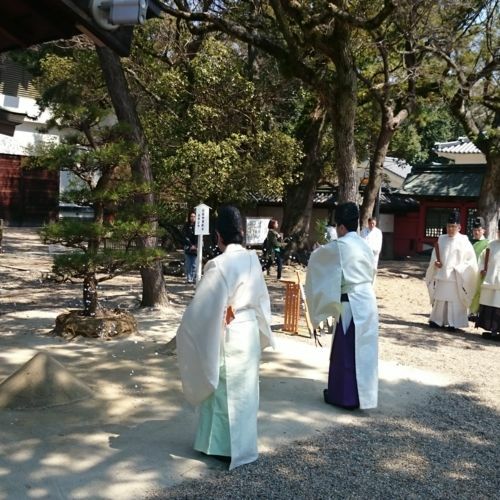 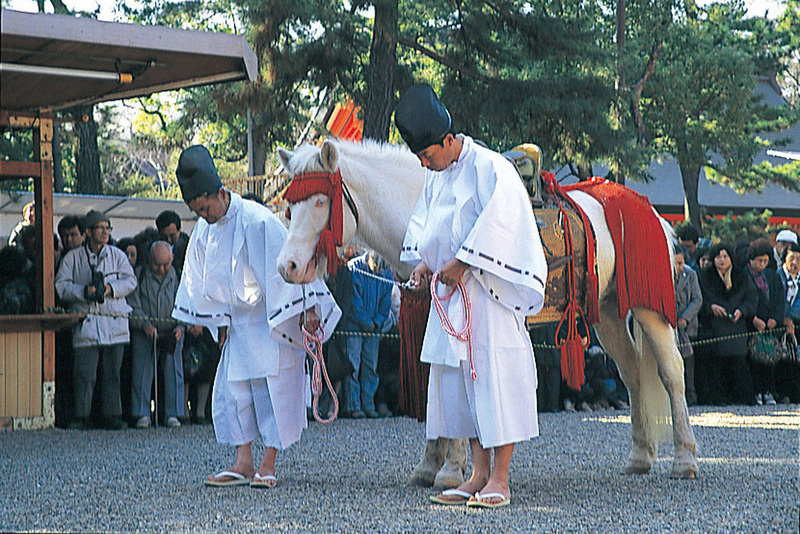 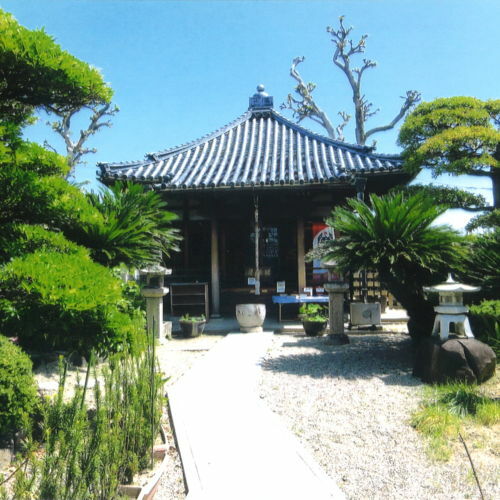 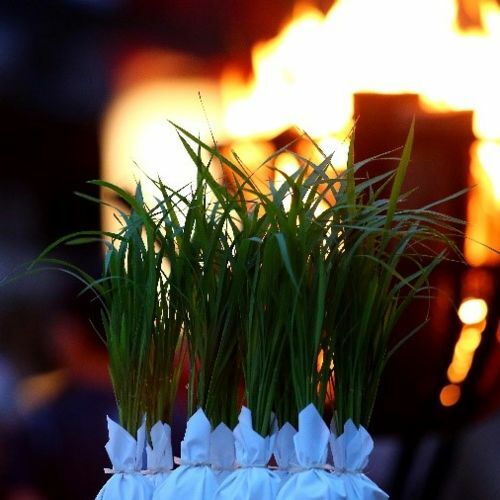 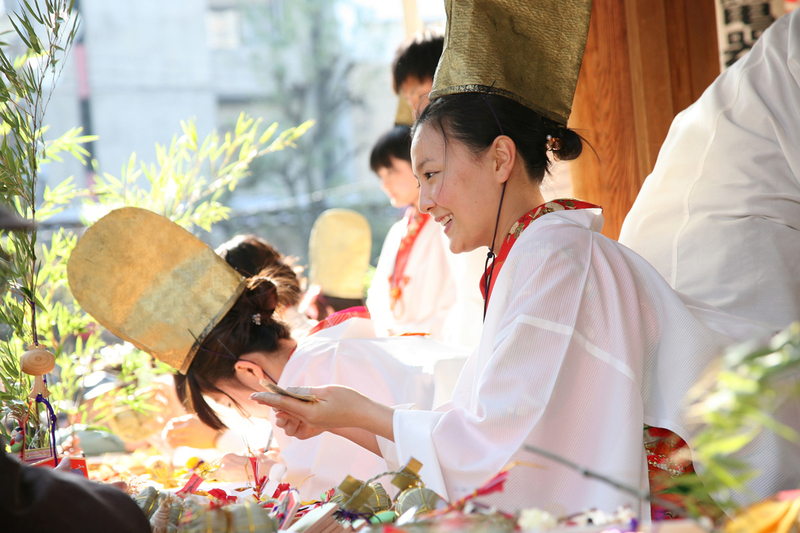 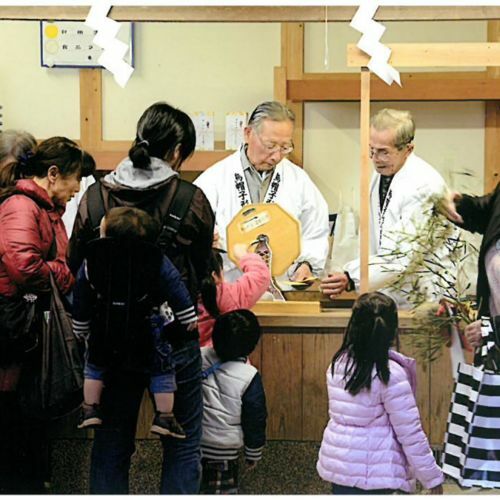 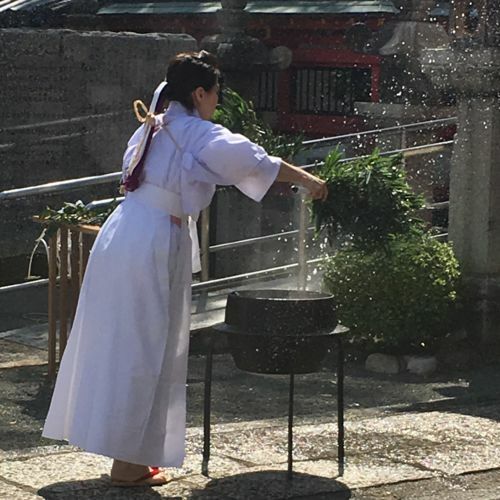 A Shinto ritual in which pine seedlings are planted on the shrine grounds and haiku poems are performed. 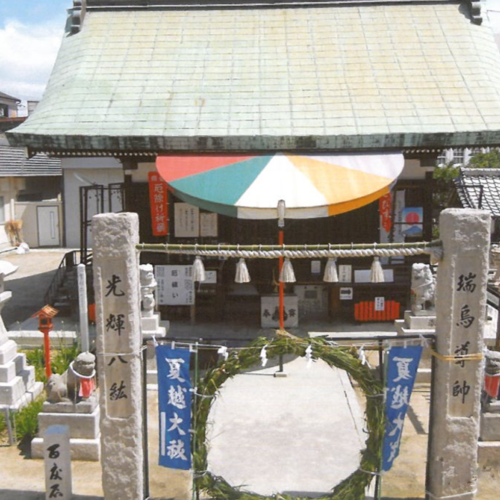 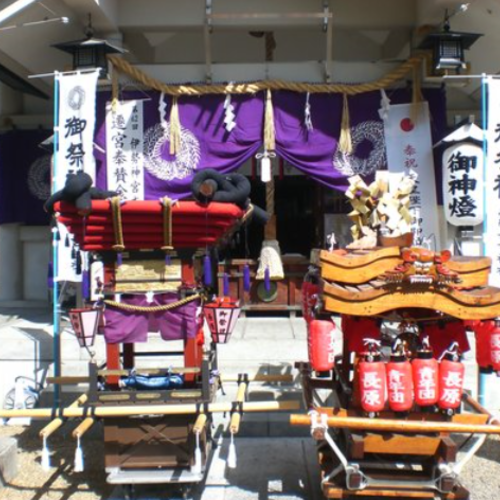 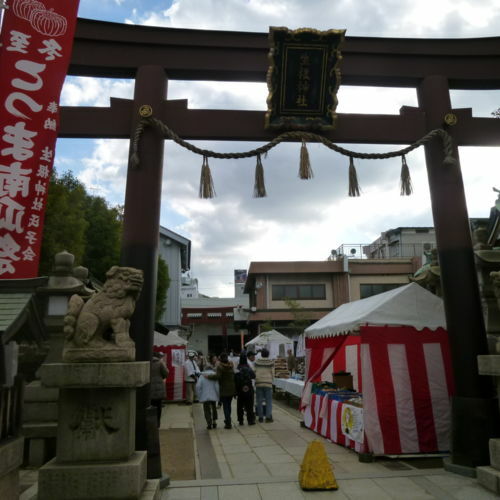 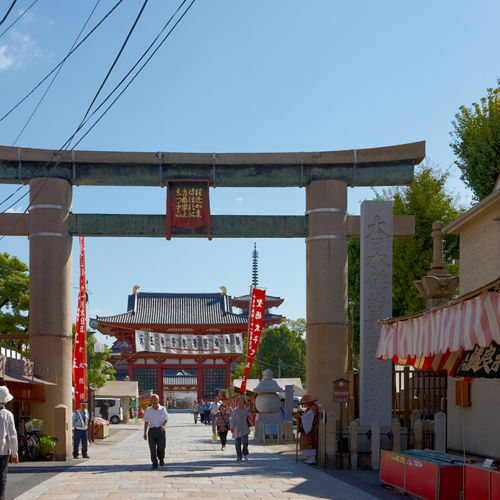 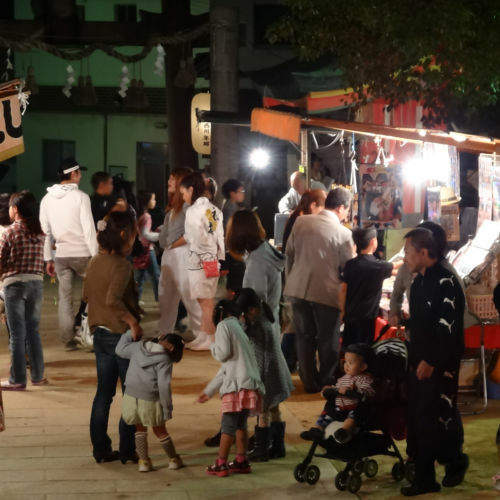 Shikinagayoshi Shrine's grand autumn festival is held annually on the second Saturday and Sunday of October. 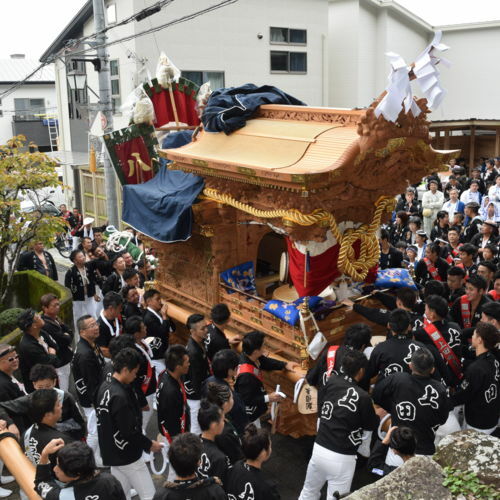 Danjiri floats are paraded by preservation society members. 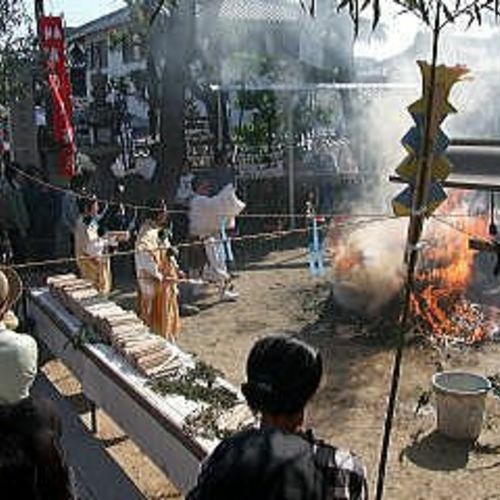 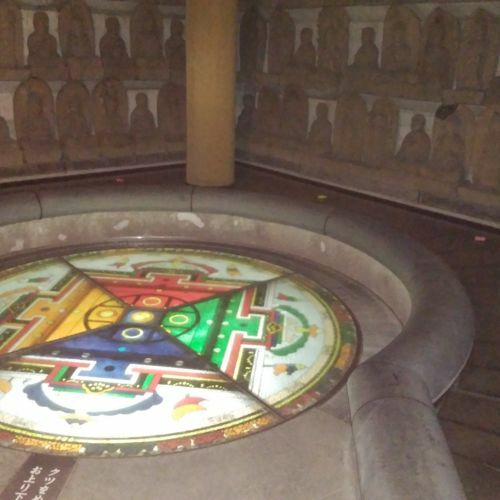 A festival to pray for family safety, transportation safety, sound health, and protection from misfortune. 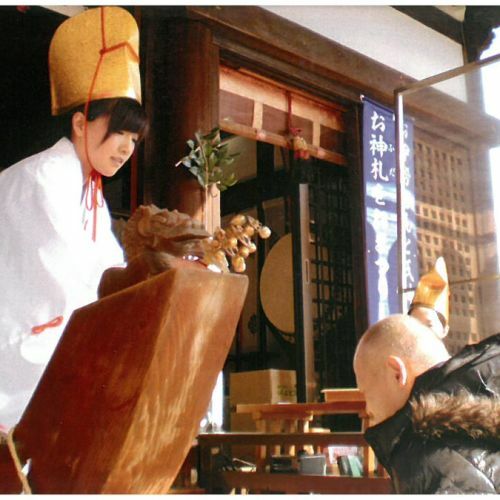 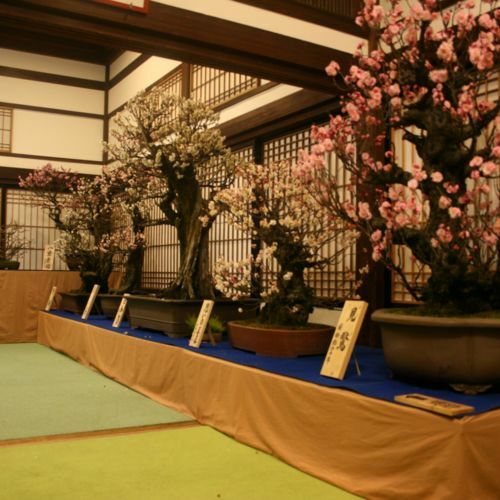 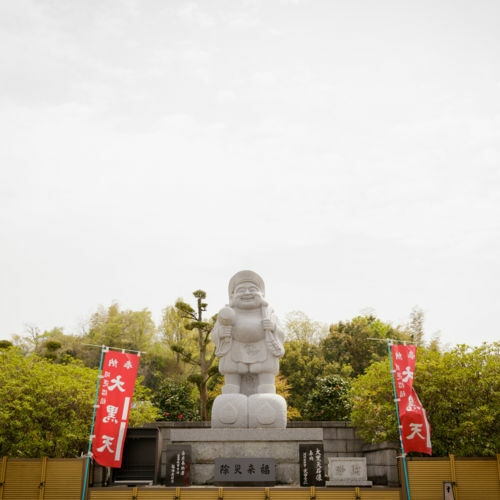 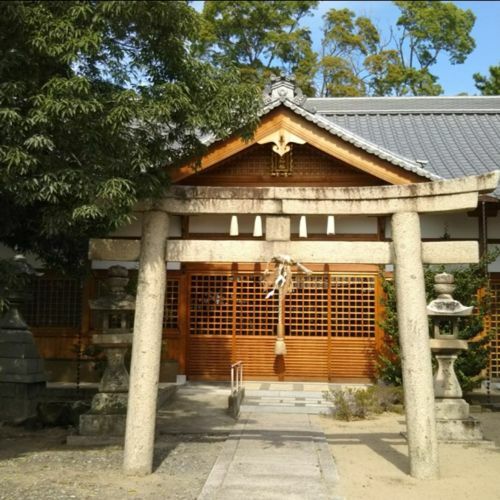 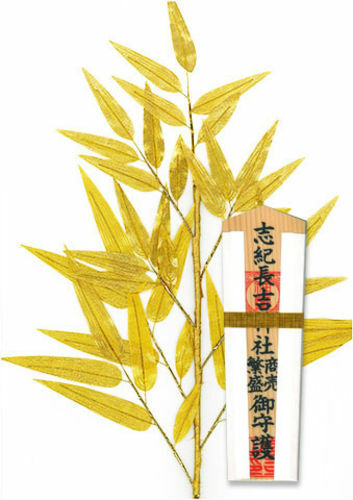 Ebisu worship is well known all over Japan for its chants of "Bring bamboo for prosperity!" 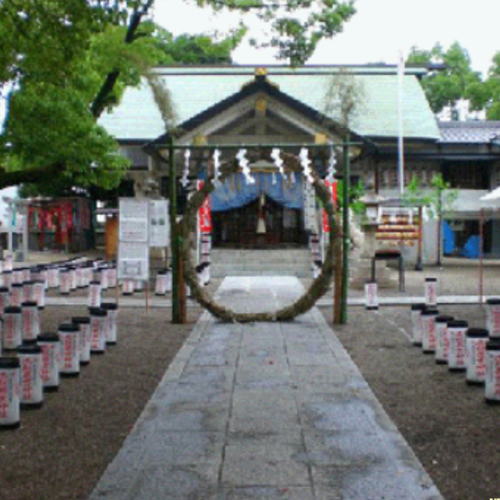 The enshrined deities are Futsunushikami and Futsunushihimekami, husband and wife gods. 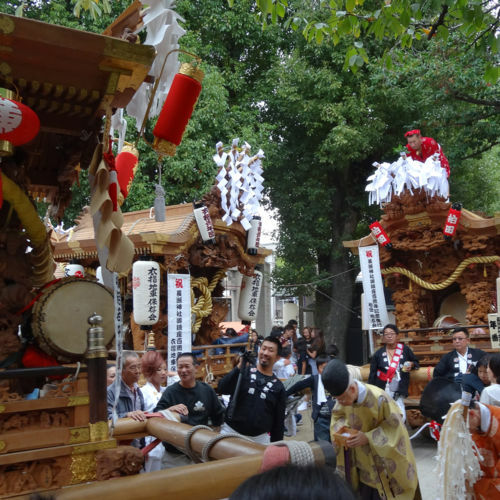 A parade of large "Futondaiko" taiko drum floats is held every year in the middle of July.